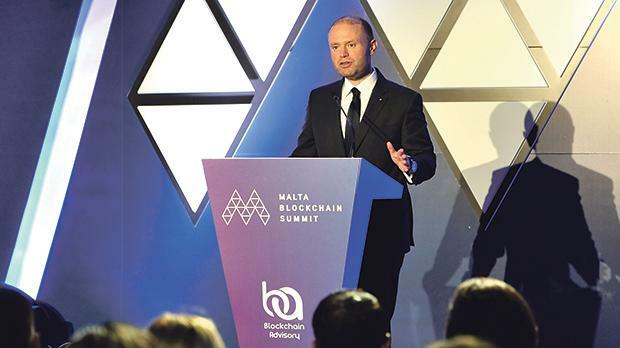 The growth of blockchain in Malta created “significant risks” of the financial system being used for money laundering and terrorism financing, an International Monetary Fund mission said. In preliminary findings following a visit to Malta, the IMF highlighted blockchain together with the financial and remote gaming sectors and the strong demand for the citizenship-by-investment scheme as posing threats to anti-money-laundering efforts. The government recently enacted three pieces of legislation covering blockchain and cryptocurrencies as part of a national strategy to attract operators to what it calls ‘the blockchain island’. The IMF mission called on the Maltese authorities to ensure that virtual asset service providers ‒ companies dealing in cryptocurrency ‒ fulfilled their anti-money-laundering requirements effectively. It commended efforts by the Financial Intelligence Analysis Unit to implement a 50-point action plan but highlighted the need for “immediate action” to close gaps in supervisory and enforcement systems. The authorities, the IMF said, needed to improve their understanding of risks and ensure that adequate sanctions were applied in case of breaches. The IMF also raised concerns about the effectiveness of financial supervision efforts, pointing to capacity constraints and deficiencies in the regulatory framework. “The increasing number of financial entities under supervision, the rapid development of new products, the evolving regulatory environment and the tightening of the labour market have put the Malta Financial Services Authority under considerable strain,” it said. To improve the system’s effectiveness, the mission said the authorities needed to ensure the MFSA was adequately staffed and guarantee its long-term financial and operational independence. Supervisory actions, it added, should not be delayed through judicial appeals. The IMF visit was part of Malta’s regular consultation requirements and included meetings with the authorities and private sector operators. In its overall assessment, the mission said growth prospects re-mained favourable but warned of growing challenges from pressure on infrastructure, skyrocketing housing prices and labour shortages. Measures to make housing more affordable, the IMF said, should remain targeted at low-income families while the authorities should also consider stepping up the provision of social housing. It recommended stronger efforts to encourage women and elderly workers to enter the labour market, coupled with more spending on research and development and easier access to financing for small businesses. The IMF also said Malta should continue with its prudent fiscal policy, aimed at budget balance excluding funds generated from the Individual Investor Programme in the medium term.